When your garage door breaks down, it can make your daily routine rather uncomfortable. A typical household uses their door more than a thousand times per year, so if you're currently unable to open and close your door, or are currently having to crank the whole thing up by hand, you’ll want the issue fixed as soon as possible. We understand how important it is to carry out safe, reliable repairs in a short space of time - our expert technicians are here to solve any related problem you may be experiencing. It’s sometimes obvious why a door system has malfunctioned - broken springs, for example, are easily diagnosed. But in some cases, it might be hard to track down exactly what the root cause of your problem is. If left unresolved, you’re likely to find the same issue occurring over and over again. This is why our technicians always take the time to work out the underlying issue before making any repairs. Most parts of a garage door system are interlinked, if one component fails, this can put additional strain on other areas. Our technicians will examine your system to identify potential weak points, and let you know what to do next. 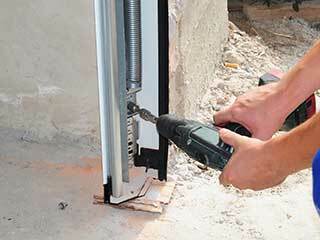 A leading cause of garage door malfunction is a lack of regular professional maintenance. Parts wear out over time, and may require readjustment and lubrication. It’s essential that you schedule service checks now and again to prevent problems from developing in the future. Allow our team to inspect your system and ensure everything stays in great condition! Our technicians are highly experienced when it comes to all types and brands of garage door systems and will carry out repairs that you can rely on. If your door is not working as it should, don't risk further damage or injury by trying to troubleshoot the problem yourself – contact our experts at Garage Door Repair Vista!